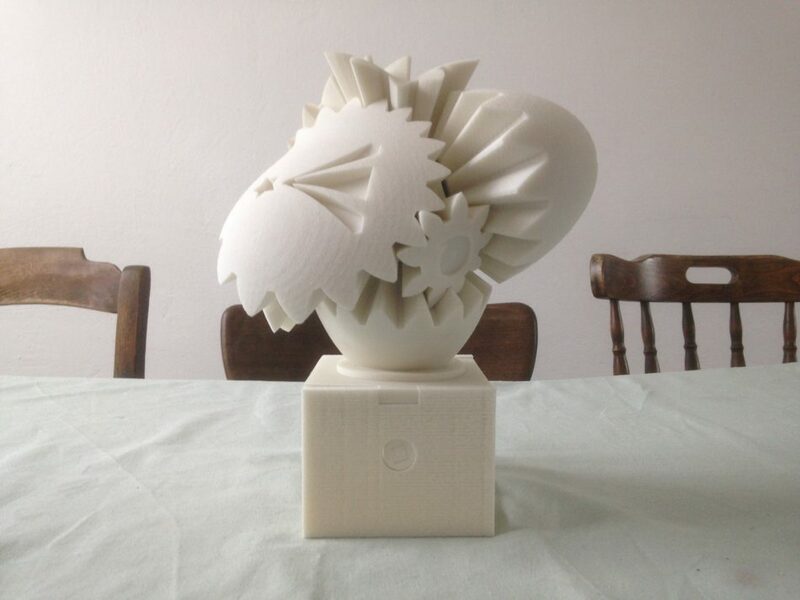 3D print of Emmett’s heart gears model (http://www.thingiverse.com/thing:243278). mechanized and adapted with symbols, which allow Marquis Events to explain their corporate identity. The heart represents an event, and instead of looking at events as fragmented occurrences Marquis develops event concepts that move from ideation to event to evaluation to ideation again, moving forward in a continuous dynamic.